Ascending trees, small hills and climbing walls are great forms of exercise and fun. Doing it without footwear can provide better traction and allows for a better feeling of the surface and how to grip it. Bare toes can help with grip much better than shoes and allow quick adjustments in position as conditions change. 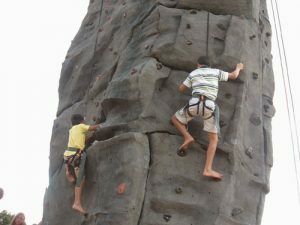 As always with climbing, loose surfaces need to be watched for as well as sharp or jagged rock. 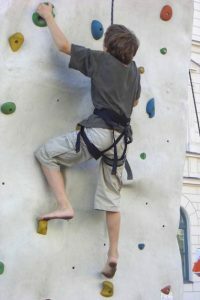 After practice, climbing barefoot can add new sensations and enjoyment of different textures.